Héctor González earned the distinction of being the first male Spanish-American Registered Nurse in the United States to earn a doctorate. SAN ANTONIO, TX, September 18, 2018 — Marquis Who's Who, the world's premier publisher of biographical profiles, is proud to present Héctor González, Ph.D., with the Albert Nelson Marquis Lifetime Achievement Award. An accomplished listee, Dr. González celebrates many years' experience in his professional network, and has been noted for achievements, leadership qualities, and the credentials and successes he has accrued in his field. As in all Marquis Who's Who biographical volumes, individuals profiled are selected on the basis of current reference value. Factors such as position, noteworthy accomplishments, visibility, and prominence in a field are all taken into account during the selection process. Hèctor Hugo González was born on March 9, 1937 in Roma, Texas to Amadeo Lorenzo González and Carlotta Trevino. He is a direct descendent of Spaniards who settled around 1747 on land granted by the king of Spain on the northern side of the Rio Grande River in what is now South Texas. He graduated from Roma High School in 1955. He received his nursing diploma in 1962 from the Robert B. Green Memorial Hospital School of Nursing in San Antonio, TX, his bachelor's degree in 1963 from Incarnate Word College, now University of the Incarnate Word, in San Antonio, his master's degree in 1966 with a major in administration of nursing education from The Catholic University of America in Washington, D.C. Dr. González received his Ph.D. from The Catholic University of Texas at Austin in 1974 with a major in curriculum and instruction of higher education thus giving him the distinction of being the first male Spanish-American Registered Nurse in the United States to earn a doctorate. He served a two-year term from 1966 to 1968 in the United States Army Nurse Corps with the rank of Captain. He was an assistant professor and assistant director in the School of Nursing at Incarnate Word College in San Antonio, TX from 1968 to 1972. During this time, Dr. González served on the board of directors for District 8 of the Texas Nurses Association, an affiliate of the American Nurses Association, and became its first Hispanic male president. The district attained a record membership. He served as treasurer of the Texas Nurses Association and vice president of the Texas League for Nursing. 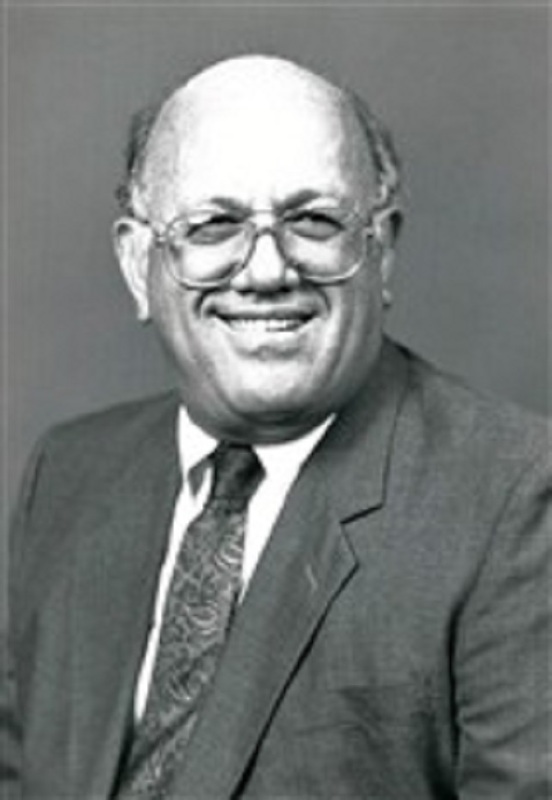 In July 1972, Dr. González was appointed chairman of the department of nursing education at San Antonio College where he conducted the two-year nursing program leading to RN licensure, a post he held until his retirement in July 1992. When he retired, Dr. González was granted the status of professor and chairman emeritus. Soon after, San Antonio College established the Hector Hugo González Scholarship Fund, primarily aimed at providing financial assistance to male nursing students. During that same period of times, Dr. González was active in local, state, national, and international professional endeavors. He was President of the National Association of Hispanic Nurses from 1982 to 1984. He served on the National Advisory Council on Alcohol Abuse and Alcoholism from 1976 to 1980, the National Advisory Council on Nursing Education and Service from 1992 to 1996, and was the first Hispanic to serve on the Board of Directors of the National Nursing Practice of the United States Pharmacopeia from 1985 to 2000. He was commissioned to write the National League for Nursing's first Position Paper on “Nursing Responsibility to Minorities.” He was a member of the advisory board to the Minority Fellowship Program under the auspices of the American Nurses Association who recognized him as a “Trail-Blazer” with federal agencies; prominent among these was the U.S. Division of Nursing under HRSA and the Psychiatric Nursing Education Branch under NIMH. He presented papers at numerous meetings on issues dealing with achieving culturally consistent nursing care to Hispanics. Internationally, he was a nursing education consultant in Mexico and the Republic of Kuwait. Nationally, he was a consultant to numerous nursing programs throughout the United States and Puerto Rico. He was a visiting professor in the graduate nursing program at the Facultad de Enfermeria at the Universidad Autónoma de Nuevo Leon in Monterrey, Mexico and at the Facultad de Enfermeria at the Universidad autónoma de San Luis Potosi in San Luis Potosi. He was a site visitor for nursing programs seeking accreditation from the National League for Nursing. He published and presented several papers on nursing education and on the cultural needs of Hispanic patients and students. He is fluent in English and Spanish. In recognition of outstanding contributions to his profession and the Marquis Who's Who community, Héctor González, Ph.D., has been featured on the Albert Nelson Marquis Lifetime Achievement website. Please visit www.ltachievers.com for more information about this honor.